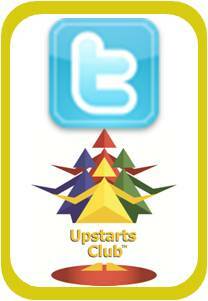 Upstarts Club 6th May 6-9pm on Twitter too! Between 6.00 and 9.00pm (UK time) on Thursday 6th May, to take part in the Upstarts Club™ virtually, simply use the hashtag #UpstartsClub to get linked up to a brilliant on-line business resource for business ‘newbies’ to learn from the real-life experiences of established entrepreneurs. In addition, if you are thinking of starting up a new business, you can hook into the more interactive ideas, hints and tips of entrepreneurship by joining the virtual Upstarts Club™ groups on FaceBook and LinkedIn. Alternatively you can find out more about the people behind the Upstarts Club™ on the PPG website.